Cutting is one of the main things to do as far as cooking is concerned. 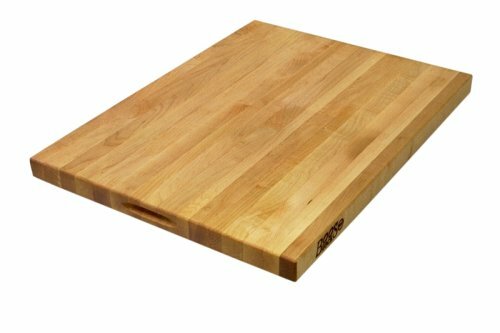 A cutting board is mainly a flat piece of material that is used for chopping, splitting and slicing when preparing food. The boards are all available in different dimensions. 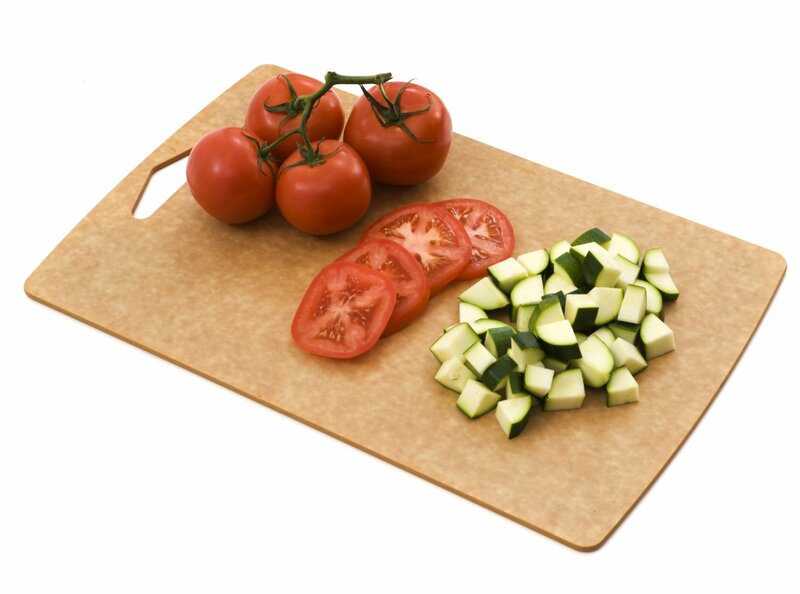 Different sized board can be used for slicing and carving of different sized eatables of different quantities . A diverse range of boards are now available in various materials and brands. Each of these boards has their own positive and negative aspects and their own clientele of loyal users. While some look more beautiful, the other has encompassed in terms of durability and lifetime. 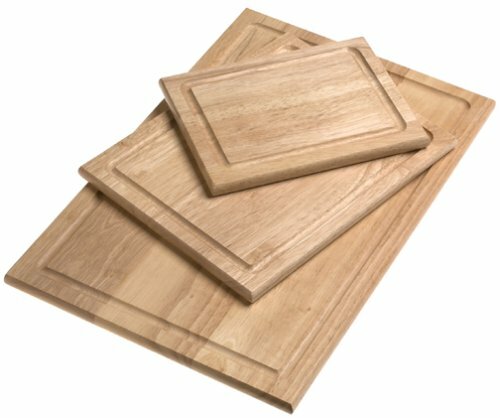 The following paragraphs summarize the best cutting boards of different types (based on materials and shape) along with their prices. Glass tends to be an easy surface for cleaning. The only drawback is that the tampered glass can dull the knife edge rapidly, and if used for slicing can chip off the glass surface of the board therefore immense care should be taken while using these boards. Catskill craftsman tempered glass cutting board with padded feet is available for $14. The board is dishwasher and microwave safe. The feet are made from non-slippery feet, which provide the board with a sturdy base. The board is 16 inches in length, 12 inches in width and ¼ inches in thickness. It is easy to clean, plain and efficient product for everyday use. 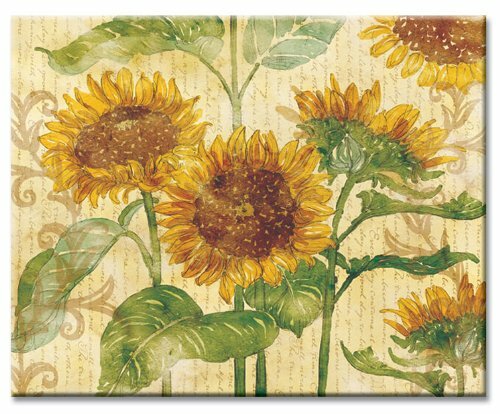 CounterArt Reflections of the Sun Glass Cutting Board glass cutting board with a dimension of 15*12*0.5 inches and weight of 1.5 pounds is available for $10. It has a robust glass which is break resistant and dishwasher safe also. The beautiful board can be used for preparation of food but also for serving it. The backside of the board has feet’s that are non-skid and firmly stick to the surface preventing the board from toppling over. Along with this it provide a non-scratch resistance to the glass of the board. From the beauty and efficiency point of view, this can be termed to be cost effective equipment. Cooking for some is a great experience. They tend to perform it with their heart and soul. Such a vibrant chef wants its boards and other such utensils to be custom-made to the extent that they can own it with completion. The personalized touch that can be given to boards is to engrave it with family or a person’s own name. One such option is the Personalized Engraved Family Name Bamboo Cutting Board. Available for $28, the dimensions are 14*10*1 inches. These are hand crafted boards made from pressed bamboo, hand colored basically to enhance the natural beauty of the bamboos as well as ensuring that the color range is even personalized and different from the other boards. The top of the board is engraved with the last name of the buyer whereas the bottom is etched with delicate vegetable pictures. It is an exclusive gift with name inscription that can be given to home chefs. 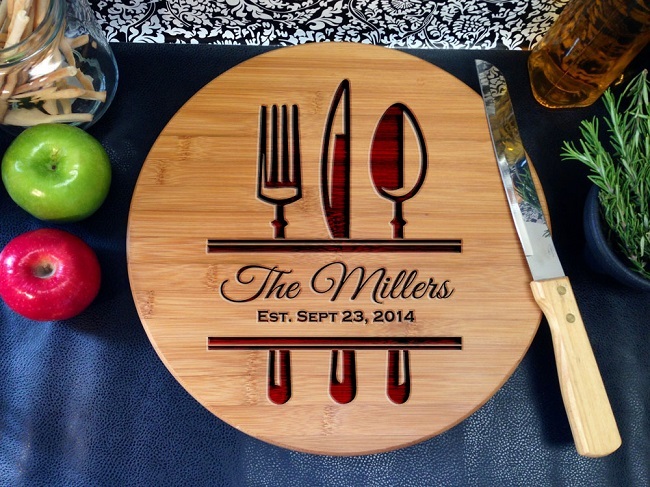 A $30 Personalized Dark Walnut Cutting Board Engraved in the darkest shade is also available. The etching can be done of any message or first or last name in the center of the board. Personalized “Year Established Family” Cutting Board made from 100% maple wood is available for $60. The board has dimension of 12*9*3/4 inches. The front of the board is for the display of name and date that is inscribed on it. The back surface of the board is for use. An ideal gift both for use and display purposes in the kitchen. Bamboo boards are now considered as an alternate to wood and plastic boards. The bamboo stalks that resemble the same marks, size and maturity are pressed together. These pressed planks are then cut out to be made into boards. The main benefit of using bamboo is that it is a renewable natural resource. Totally Bamboo Kona Groove Cutting Board is offered at a price of $22. It is made with finest quality bamboo, which is 16% more robust than ordinary wood thus making it an ideal cutting instrument. The added beauty is that original color of the bamboo is enhanced as no artificial coloring, dye or stain is used in the manufacturing. Strength of the product is that the bamboo is joined using food safe glue. 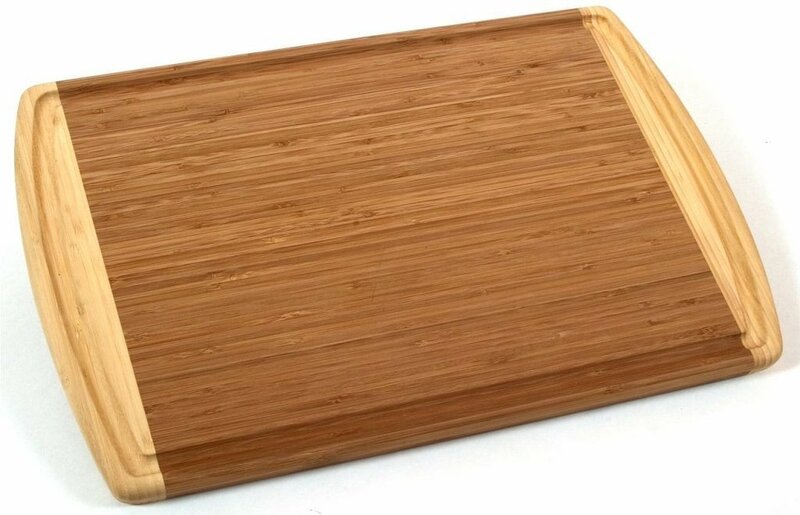 A Totally Bamboo 3-Piece Bamboo Cutting Board Set measuring 6*8 inches, 8.5*11 inches, and 9.5*13 inches respectively, is available for $21. Each of the board is 3/8 inches thick. The qualities of a standard Totally Bamboo product are incorporated in this three piece strong and durable set. The bamboo used is Moso which is not the food of panda thus being environment friendly in every way. Another Premium Bamboo Cutting Board Set set is also available for $40. The three sizes are as follows: small (8*6 inches), medium (11*8.5 inches) and large (13*9.5 inches). The thickness of these boards is 3/8 inches. The major benefit of having a three piece set is that all can be used for different purposes, from the cutting of a small fruit to a large chicken roast. The set is made from high quality bamboo that won’t split or crack up and will not prevent the knife edge from tarnishing in short time. The boards need to be hand washed and should be dried completely before storing for a longer life. Wood chopping boards come majorly come in two types: flat grain and end grain boards. These are highly efficient and durable to use. A three piece Farberware Wood Cutting Board Set is available for a list price of $30. The dimensions of the boards are 11.5*17.5 inches, 9*11.5 inches and 6.5*8.75 inches respectively. The boards are made from farm grown hardwood which has an added benefit of groove channels that catch juices. The boards can be flipped over to the flat side if the work involves the cutting of dry things. The Madeira Provo Teak Edge-Grain Bread Board is available for a list price of $15. Made entirely from teak wood, which is farmed responsibly by Madeira therefore making the brand economic friendly. The boards are made from leftover wood that is usually discarded by companies. It is a quality, cost effective piece in terms of design beauty and functioning. Wood boards need to be treated if cracks appear or dryness tends to prevail on their surface. Oiling or resurfacing of such boards can be performed. Another important thing as far as wooden boards are concerned is that they should be kept dry. After washing also it should be ensured that they are not left in accumulated liquids for a long time. John Boos is a quality brand name since a long time. The board is made of hard maple which is edge grain. The board has carved in gripping handles. It has an oil finish on its surface and lifetime warranty if used with care. A plain Maple Cutting Board of 24*18*1.5 inches costs $100. A 10*5 inch costs $16. A 10*10 inch costs $23. A board of 16*10 inch costs $28. The board measuring 18*12 inch costs $40. $55 is the cost of a 20*15 inch board. These cutting boards are thin, sleek and lightweight in comparison to conventional wooden boards. An Epicurean cutting board in the Handy Series has an easy to hold handle and dimensions of 9 inches* 7.5 inches. The natural color costs $17 and slate color costs $15. A highly resilient and knife friendly board. Dishwasher and sanitary safe, but not microwave safe. The surface is non-porous which makes it easier to clean and hygienically safe to use. The only precaution that should be taken is when drying the board. It should be completely dried after washing or else the surface tends to warp. Though it is termed to be stain resistant yet dark colors may tend to leave behind mark and immediate washing should be done after cutting off any such food. The same material with the same benefits in another size is available for $37. The size of this board is 18 inches in length and 13 inches in width. These further accentuate the look of modern kitchen along with being a multi-tasking highly durable piece of equipment. Whatever the material of the board be care of board is a must. The boards should be properly sanitized to eliminate the growth of bacteria in it. Different boards should be kept for different foods, as this reduces the cross contamination of food to nil. All the boards should be cleaned with dilute solutions as per the requirement of the material, this prevents the accumulation of bacteria along with removing stains and bad odors if any have developed over the course of time. I have an old bread recipe hand written by my mother. Are you able to somehow engrave or emboss this on a cutting board?